Developers are putting the final details for funding in place to allow work to commence on extending the Shrape breakwater and building a new 400-berth marina. The existing breakwater, located on the eastern side of the Cowes harbour entrance, will extend the structure to offer better shelter to the new Victoria Marina. Work will also be carried out to dredge the new eastern access channel. The site is being developed by a group of companies on the former GKN Aerospace site, to the north of the Red Funnel terminal. 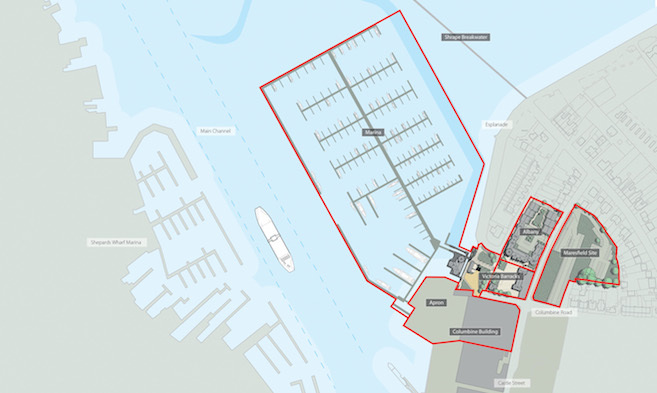 Camper & Nicholsons Marinas will be developing and operating Victoria Marina, named after the town’s royal connections, and Westcourt Real Estate will be working with architects Conran & Partners to regenerate and develop the waterfront area. There will be new residential and hospitality properties as well as the rennovation of the Columbine Building and the Victoria Barracks, arranged around the marina. The marina development is part of a £200m East Cowes Masterplan, in turn part of the Solent Gateways project. The Masterplan aims to promote regeneration and economic growth in the town and improve the Island’s links to the mainland. The next phase of the development has been made possible by the completion of the outer breakwater earlier this year. The Columbine Building, known for it’s vast Union Jack will house a variety of marine businesses under the tenancy of Camper and Nicholsons Marinas. 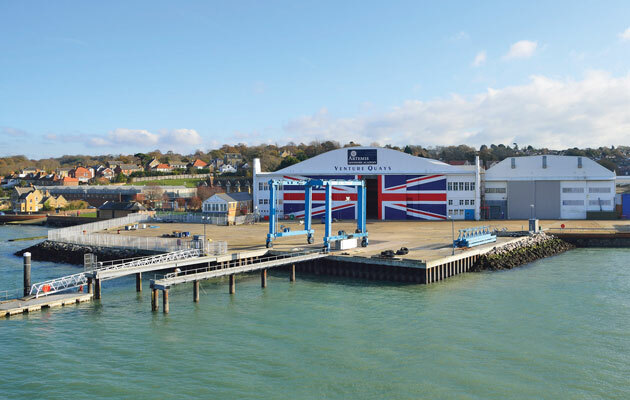 Sir Christopher Lewinton, Chairman of Camper & Nicholsons Marinas, said: ‘East Cowes has a long tradition as host to the Royal Family with their deep passion for the Island. Our plans for Victoria Quay will build upon that distinguished past while bringing new impetus to the area as a centre of employment in the marine and associated service sectors. The development also benefits from the recently introduced Scoot Ferries services to and from Cowes.